It’s waterproof, it’s dust-proof, it’s even shockproof, but nothing will prepare you .for .. luminous yellow. Resolutely a phone case for wild places where visibility and toughness are everything, Thule’s top-end effort for the iPhone 6/6S is here. You can’t miss it. 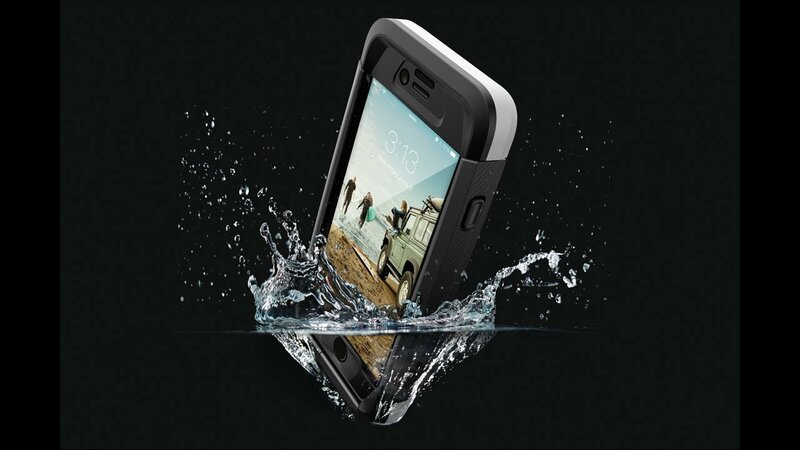 It’s an IP68 rating that gives the Thule Atmos X5 waterproof and dust-proof characteristics. It’s quick enough to dress an iPhone 6/6S, with a quick slide and a few snaps to get it snugly inside its waterproof wrapper. It took to water like the proverbial duck, though don’t expect it to float. I’ve always wondered why waterproof phone cases don’t come with a leash … how frustrating would it to be to lose a phone overboard, knowing it was in perfect working order on the seabed? The Thule Atmos X5 sees to that by providing a wrist strap that attaches to the bottom. By the way, down there is easy entry to all ports. Given the brave styling and the fact that the Thule Atmos X5 isn’t exactly super-light, it’s most likely going to be thrust onto a phone when heading out on a trail … and removed immediately after. That makes practical sense, too; the interior StratoShield screen protector does lessen the iPhone’s touch-sensitivity slightly. Either way, the Thule Atmos X5 is a tough nut to crack on the undress; we had to prize it off. Phew. The Thule Atmos X5 does its job brilliantly, with an outer that’s easy to grip and a colour that’s easy to find (though it’s also sold in black/white, and all-over black). But let’s not pretend it’s versatile. It’s not. It makes your phone less functional (though the Touch ID sensor works OK) and it’s a pain to get off. It also happens to make your phone almost indestructible. So with a trip to the Empty Quarter of Oman coming up for TravGear, the Thule Atmos X5 is on the A-list.